Now let’s get one thing straight: the console version of Diablo 3 is still Diablo 3. It has the same characters, campaign, etc. It felt to me, however, even more polished than the PC version. It would’ve been easy for Blizzard to just slap controller support on their PC game and say it’s good to go for consoles. Let’s be honest here, it would’ve still sold because it’s Diablo. On the console. The game I played had a completely reworked interface and several new features that not only facilitated console play, but also made for a sleeker overall experience. I was fortunate enough to be able to talk to developer Rob Martin as I played. Rob’s a User Interface Artist working on the console version of Diablo 3, so he was able to point out to me all the little changes they'd made to the console version. 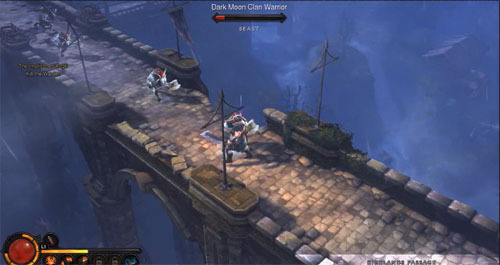 A player’s health and resource bars as well as mapped skills appear at the bottom left corner of the screen. Though the game was only set up for single-player, Rob told me that in co-op other players’ health and resource bars would appear in the other three corners of the screen, much like many other console ARPGs. One’s six selected skills are mapped to the square, circle, triangle, X, R1, and R2 buttons, with L1 being reserved for potions. Down on the D-pad opened up the map for the area as well as the current objective. The select button opens the menu, which is completely different from the PC menus. The tabs at the top were inventory, skills, follower, quests, and lore and could be easily cycled through with the L1 and R1 buttons. The inventory window displayed the character’s paper doll with a radial menu to quickly select each equipment slot. From there, the items in the character’s inventory that could be equipped in that slot popped up on the right side of the screen right next to the currently equipped item in that slot for easy comparison. The interface looks pretty sleek, but the first question that immediately came to mind was whether more than one player could be in the menu at the same time when local co-op was in play. We all know how frustrating it can be when only one player can mess around in their inventory at a time. While Blizzard isn’t completely sure yet if they can support this, one of the features they’ve added to the console version of Diablo 3 may make this not nearly as much as a dealbreaker. Right now, it’s called “fast equip,” and I find it brilliant. Whenever a player picks up something from the ground, the name of the item will pop up above their health bar for a few seconds. Without interrupting gameplay, any player will be able to simply hit up on the D-pad to cycle through all the items he or she has recently picked up. It’ll show the name along with a comparison with the currently equipped gear in the same slot (comparing factors such as armor, damage, and life) displayed in a pretty informative, yet compact manner. The player can then hit X to equip, triangle to drop, or circle to close this mini menu. Rob emphasized that the team is working hard to get players out of the large, screen-hogging menus, which could make my original worry a non-factor. There are also non-user interface changes in the console version. Blizzard wants the console version of Diablo 3 to feel more actiony, so they’ve changed some things. First, the perspective is zoomed a bit further in. They’ve also added a combat roll which means that players will be able to dodge attacks, traps, etc. Last, to prevent players from wasting too much time picking up gear off the ground, less loot will drop in Diablo 3, but the loot that does drop will generally be of higher quality. 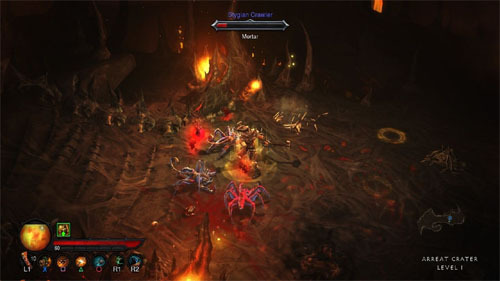 The console version of Diablo 3 will also allow offline co-op in the 4-player local co-op mode. 4-player online co-op will also be supported. I asked Rob about combo co-op, but he says they’re still discussing it. All in all, I ended up walking away quite impressed by what I saw. The console version of Diablo 3 really feels like a spiritual successor to many of the great console ARPGs I played on the PS2 and Gamecube, which is high praise indeed. Blizzard has yet to announce the release date for the console version of the game. For now, you can check out the recently released highlights video. 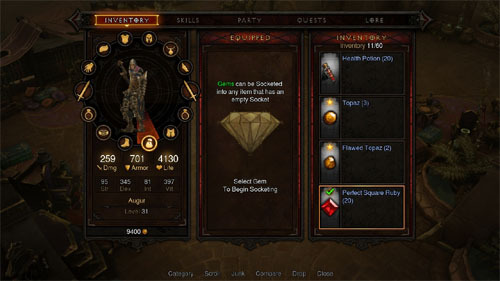 The console version of Diablo 3 is currently planned for the PS3 and PS4. It's Patch Time for Diablo 3! Page created in 0.4502 seconds.